Doc’s Dry Hopped Apple Cider: It’s like beer! The doc is in…when it comes to ciders. Get the rundown here on one that rocks, courtesy of Doc’s. Say hello to your uncle…Uncle Val’s Botanical Gin, that is, for refreshing summer cocktails and more, courtesy of 35 Maple Street Spirits. Real men moisturize. Find out how in our Metro Man section. Gluten-free beer that boasts great flavor? Dogfish Head Tweeson’ale hits the spot this spring! We’re rolling out a new distillery destination with our article on Hillrock Estate. Superga helps men’s footwear spring forward in classic style. Check out this very American style for men and women! Port Jeff Brewing Company: Set sail for flavor on the North Shore of Long Island! We’re headed for savory suds due North…Shore, that is! Come with us to check out Port Jeff Brewing out on Long Island. Get into the spirits this season. 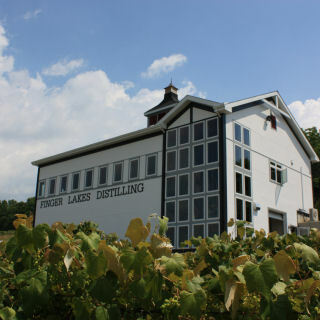 Check out our article on Finger Lakes Distilling.